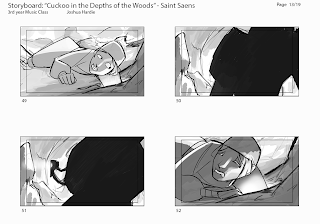 These boards were created for a leica assignment in my music class. We had to create a leica reel based off a piece of music provided by the teacher. 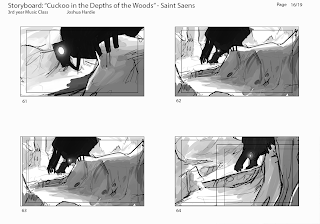 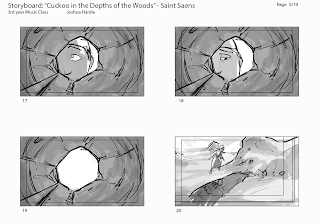 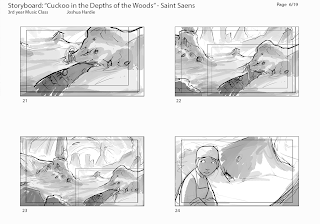 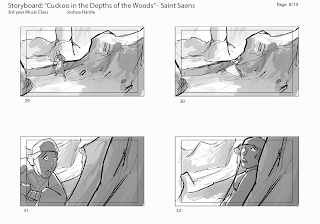 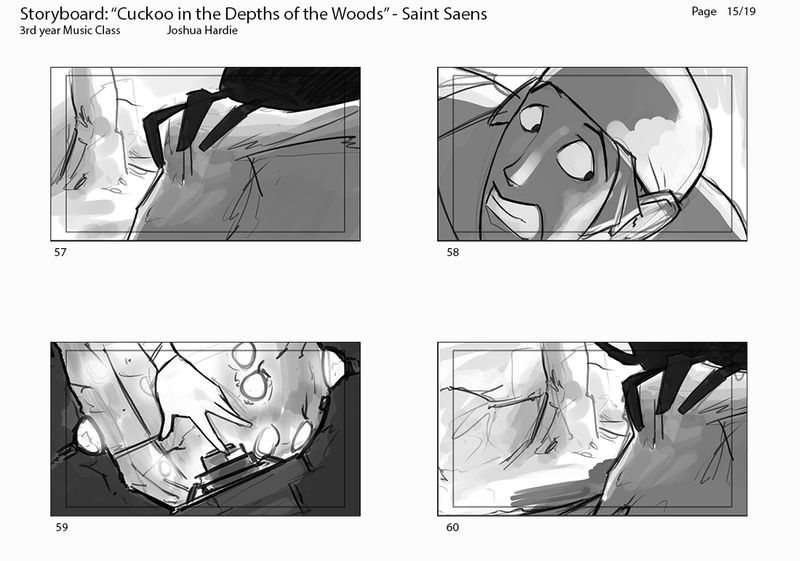 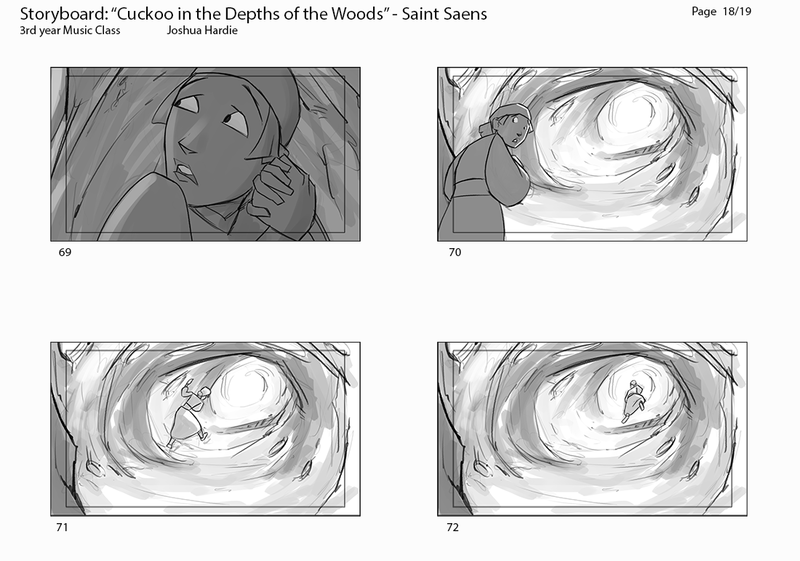 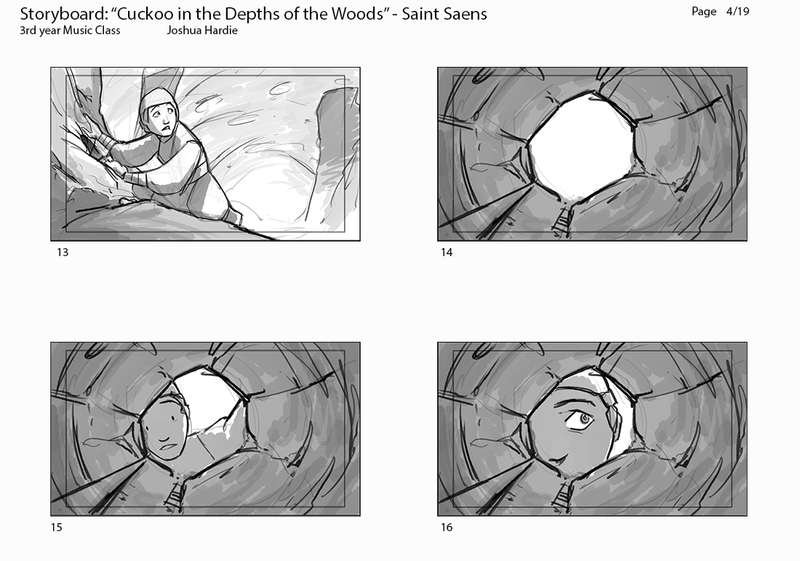 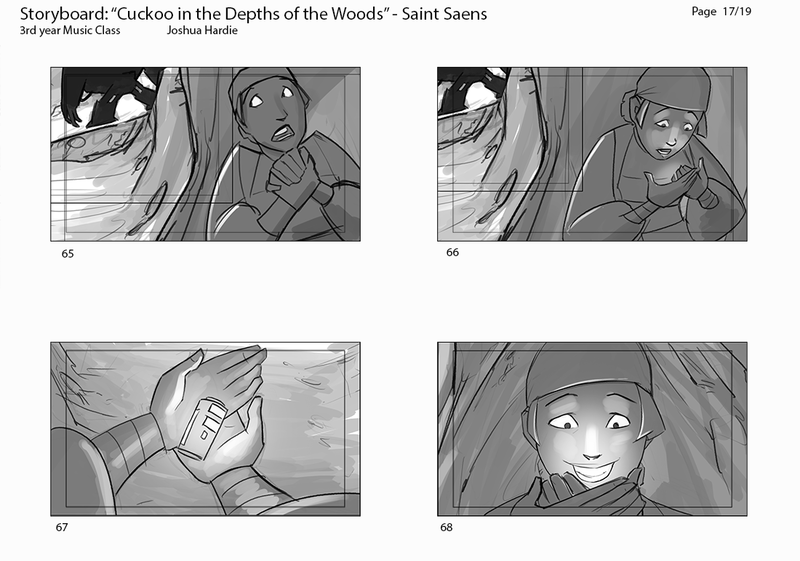 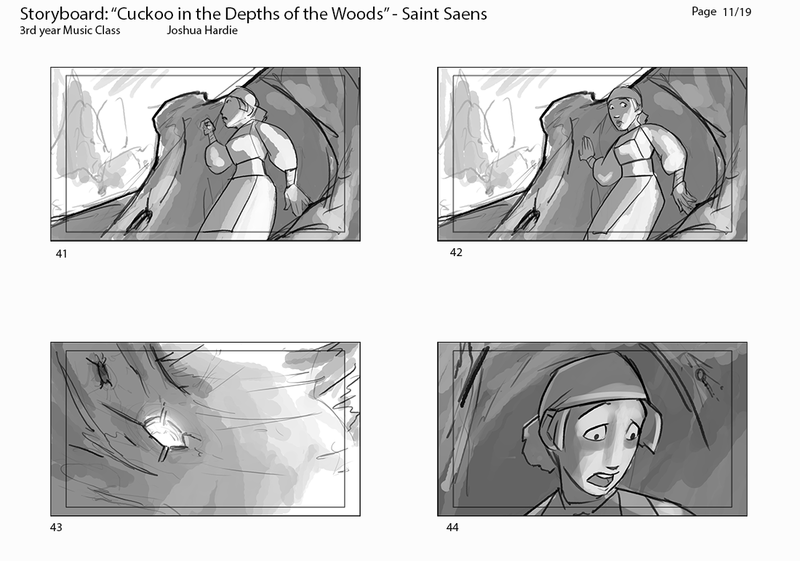 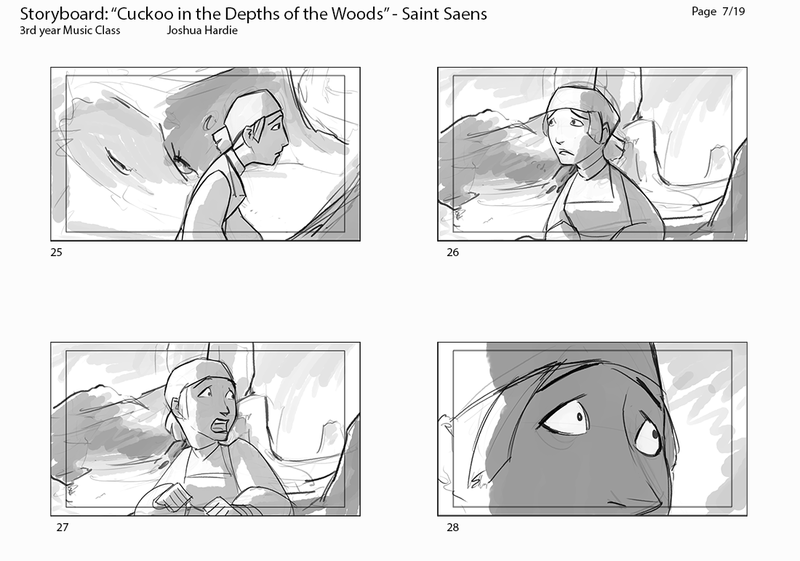 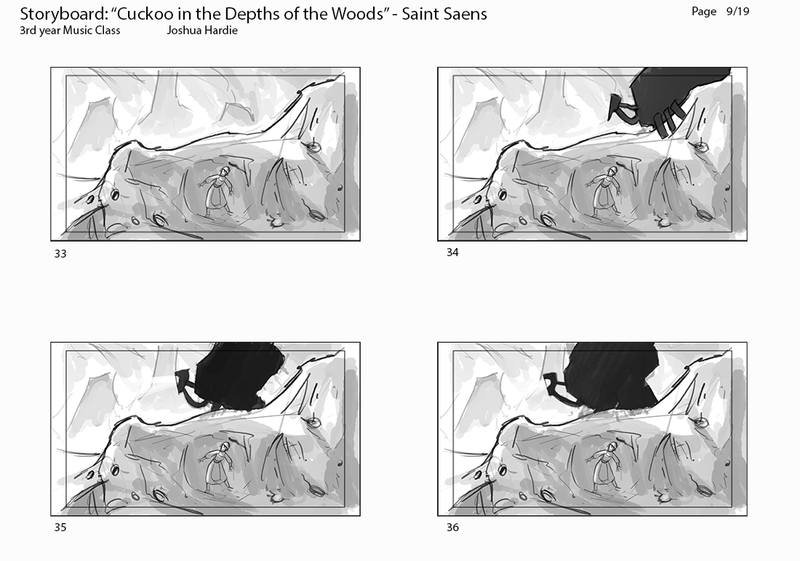 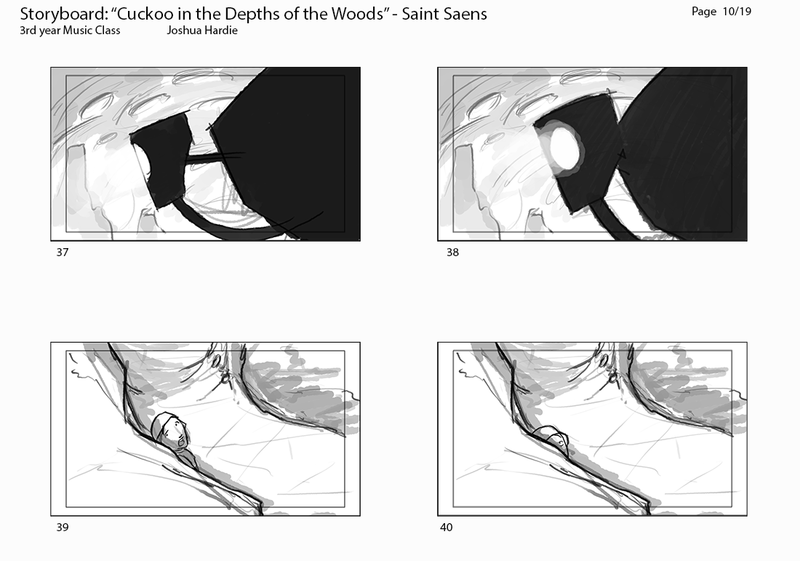 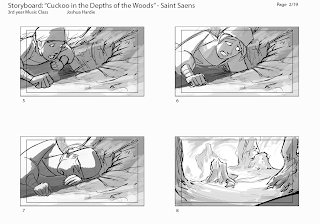 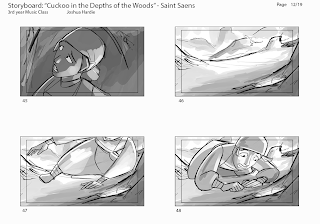 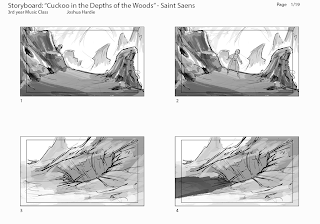 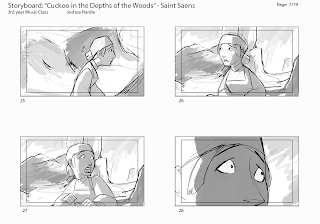 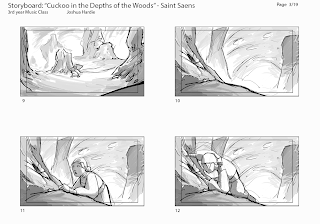 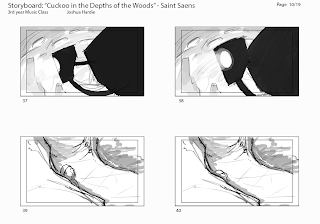 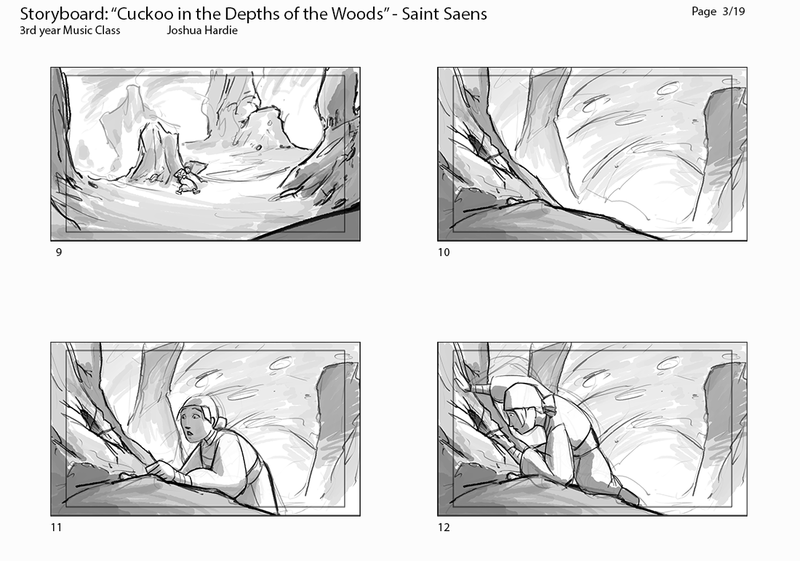 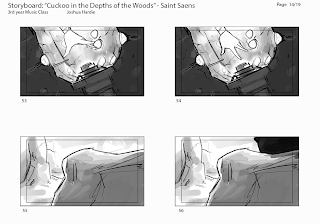 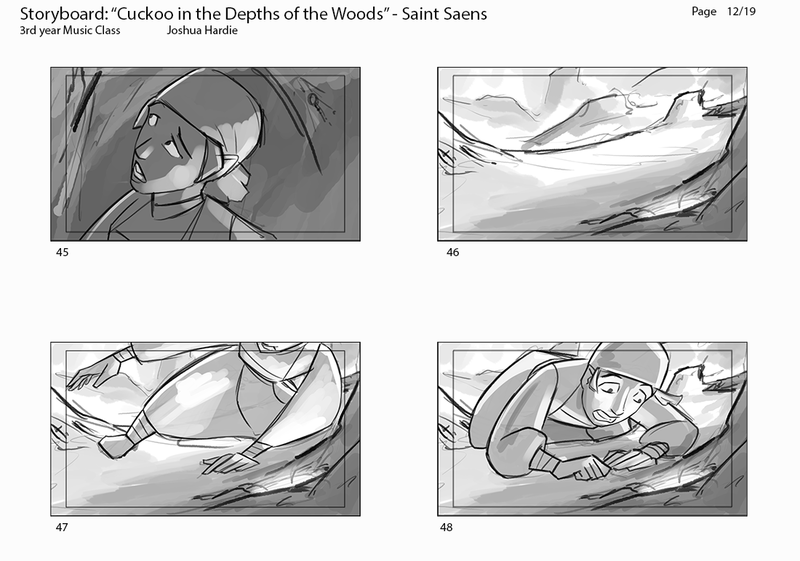 Out of the selection, I picked "Cuckoo in the Depths of the Woods," a piece by the composer Saint Saens. 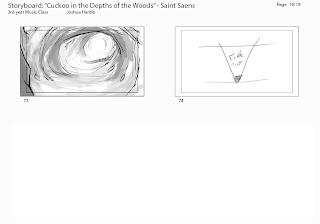 I tried to post the leica itself, but blogger seems to be pretty terrible for dealing with video files. Maybe I'll put it up on Youtube or something and link it here.